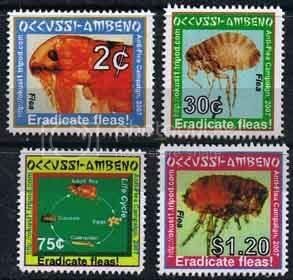 I was very pleased to get a nice batch of stamps and covers of Occussi-Ambeno (see below) as a bargain batch. These were produced by a guy called Bruce Henderson, who is responsible for a wide range of fictitious places for over 25 years. There is an ongoing series of articles in the Cinderella Philatelist currently by Geir Sǿr-Reime, a Norwegian who I had the pleasure to meet the other day. Bruce has responsible for a number of different bogus territories, all with a history, and all interlinked. These include Kemp Land, Mevu and Port Maria - too many to list here. But I hope to add to the collection and post finds here with explanations. But those interested should read Geir's articles. 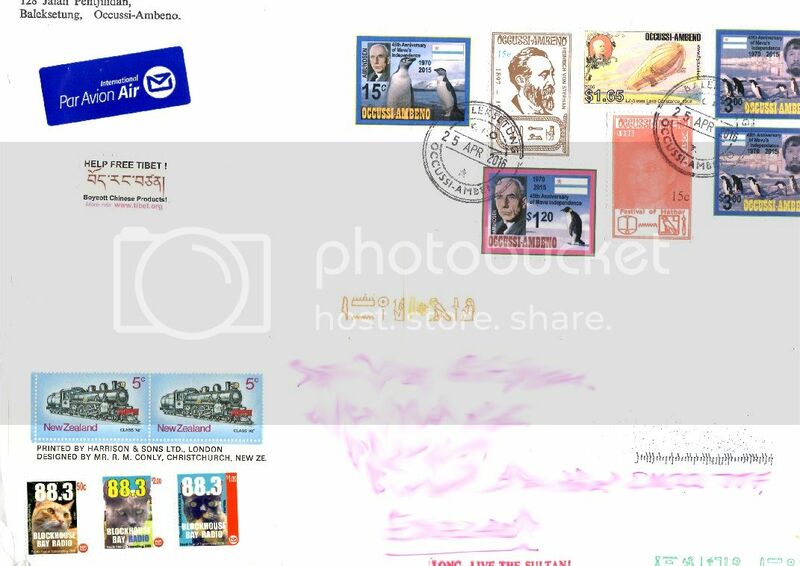 However I was surprised to discover, after the first article, that I already had some of Bruce's stamps in my colllection. These date back to 1968 and I obtained them while they were in production. 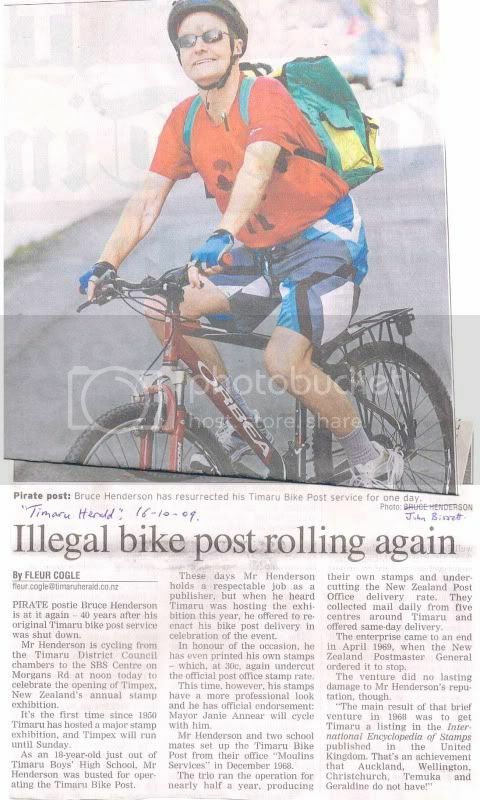 They were a true hoax isue, claiming to be a Bicycle Post run by schoolkids in a New Zealand town. 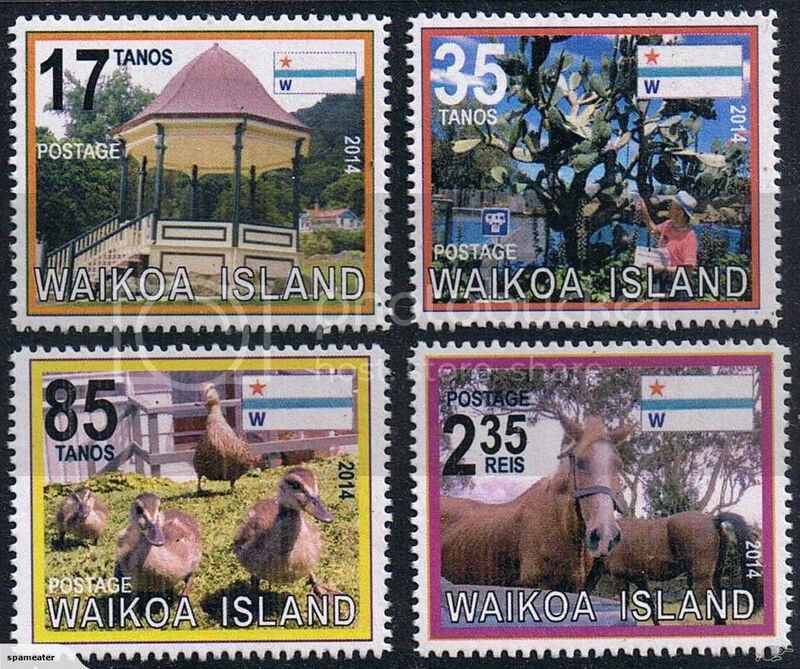 Below is the full set of Timaru Cycle Post stamps. I recently saw just three of these for sale at £50! I hope adding to a collection of Bruce's material will be a fraction of these prices. Stamps produced over 25 years ago were so much harder to get printed and perforated. 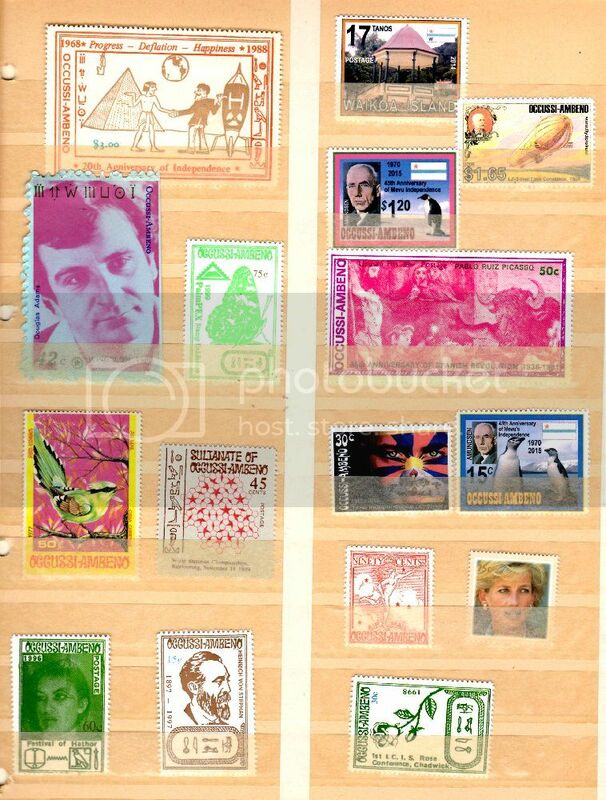 No disrespect intended to the modern desk-top publishing era of stamp producers but in that time it was no small task to organise a small print run of stampsheets in colour, just for your own entertainment, a hoax, or simply your 'art'. 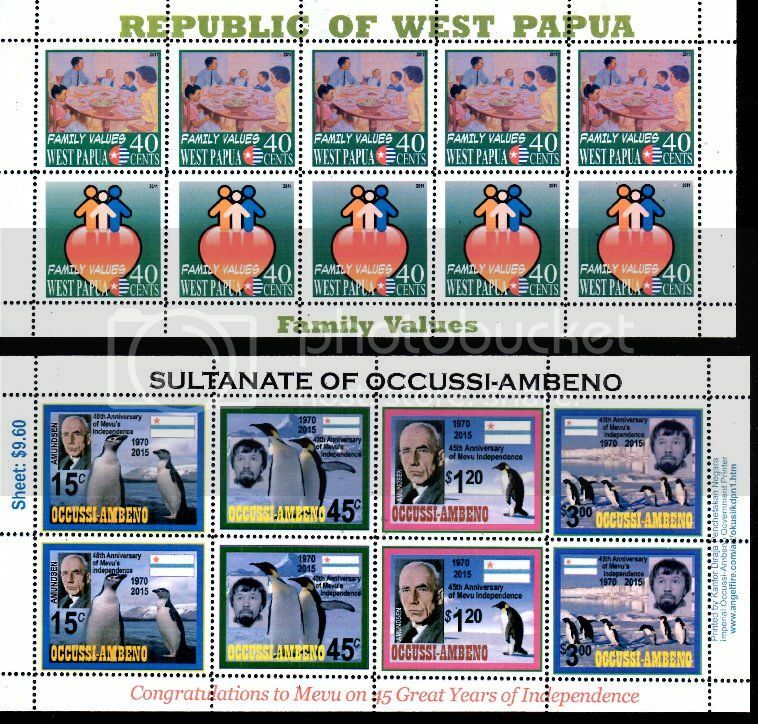 Funny how the same themes crop up over the years but among different stamp-makers..... penguins, roses, egypt, rockets, airships, hearts, trains and bikes! and which issuing authority hasn't been guilty of either? Bruce lives in Auckland now and trades as Imperial Stamp Co. I've had a few dealings with him in the past. Here's one cover he sent to me awhile back. It has a bike post and free Tibet Cinderella. Hello, I am Bruce Henderson, philatelist, of Auckland in New Zealand. 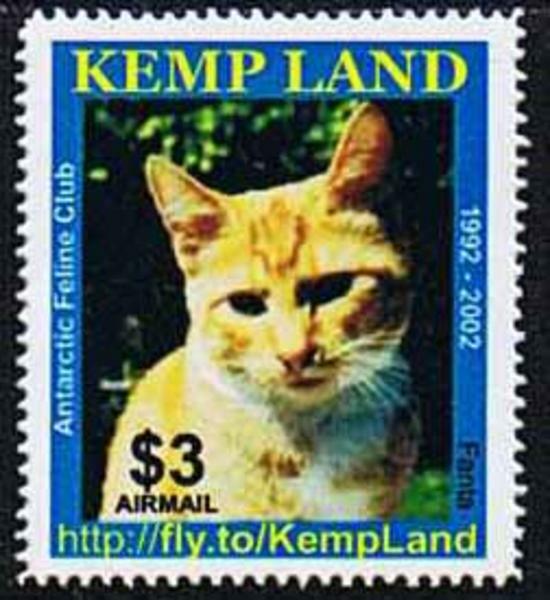 I became a philatelist at age 9, and a printer at age 13. Fusing these two interests meant I needed a vehicle to hang my creations on, and so dreamed up the concept of an imaginary sultanate in tropical Asia: Occussi-Ambeno. This land (which actually exists: atlases published before 1975 show it as a tiny enclave on the isle of Timor) was extensively promoted by my public relations mailouts in the late 1960s and 70s. 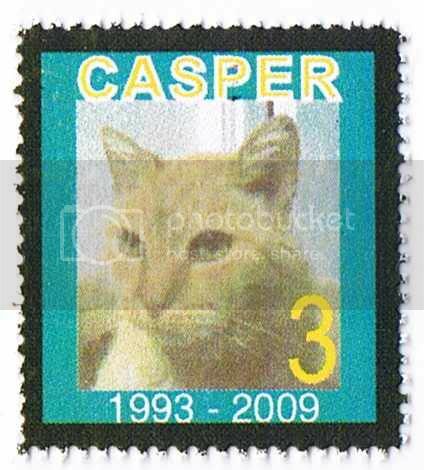 Occussi-Ambeno began in 1968,and has issued stamps each year since. In 2008, we celebrated our 40th anniversary of independence from Portugal, the former colonial overlord, which makes O-A among the oldest fantasy lands around. My first fantasy land was Waikoa Island, in 1965. It celebrated it's half-century in 2015. As I’ve grown older, and technology has improved, I have always taken advantage of whatever is around to enhance the life and productions of my fantasy land. For instance, I recently did a bookbinding course, and whilst there, produced passports for O-A. Zanzibar, Katanga, South Kasai, Samoa, Lundy, Austria, Tuva, Bahamas, and Cayman Islands, and have managed to form great collections of all these lands. And recently, I've started on Hungary. Upon leaving school, I bought my first press, an English-made Adana 8 x 5, which I still have. More recently, I was fortunate to be given a Heidelberg platen press: the Rolls-Royce of printing machines. This press is fully automatic and produced most stamps of O-A and some other friendly lands for many years, until the modern digital era, when I got a laser-printer, and moved to full-colour stamps. In 1986, I was offered an old 1896 treadle perforating machine, so bought that, making me self-sufficient in stamp production. Today, I continue to design and print the odd few O-A stamps, but also print stamps for many other fantasy lands, as well as Cinderella issues for any clubs and people I can assist. Like a stamp with you, your child, grandchild, or pet? Great to see that 1968 set of Timaru Bike Post locals illustrated earlier in this thread! 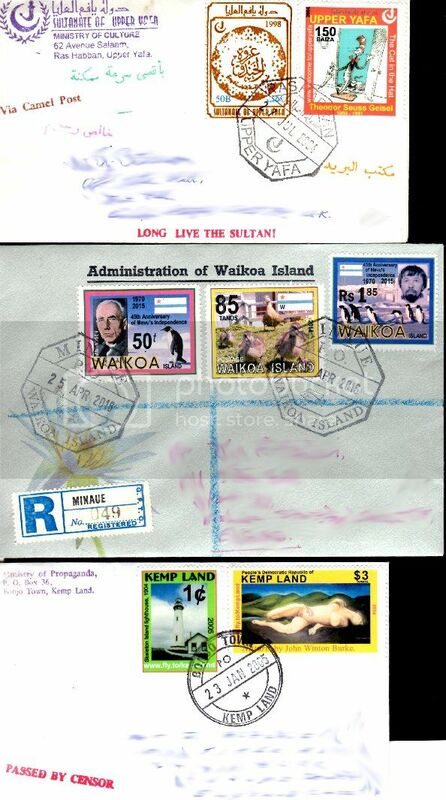 Those stamps now fetch high prices in New Zealand dealer auctions. Sadly I no longer have a set myself.